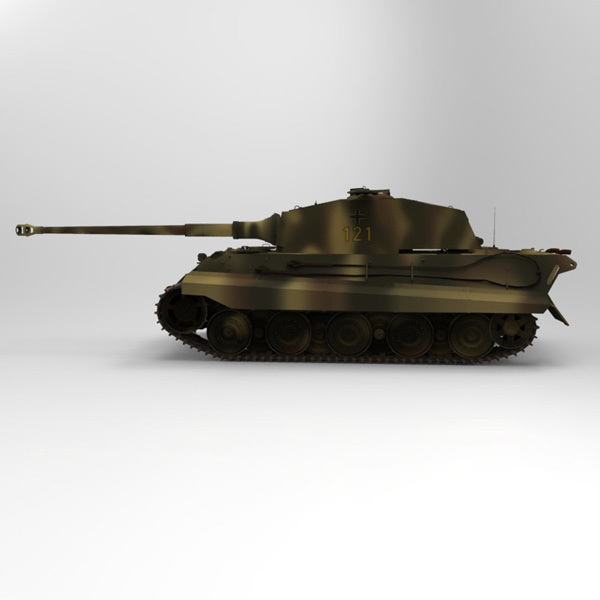 Tiger II is the common name of a German heavy tank of the Second World War. 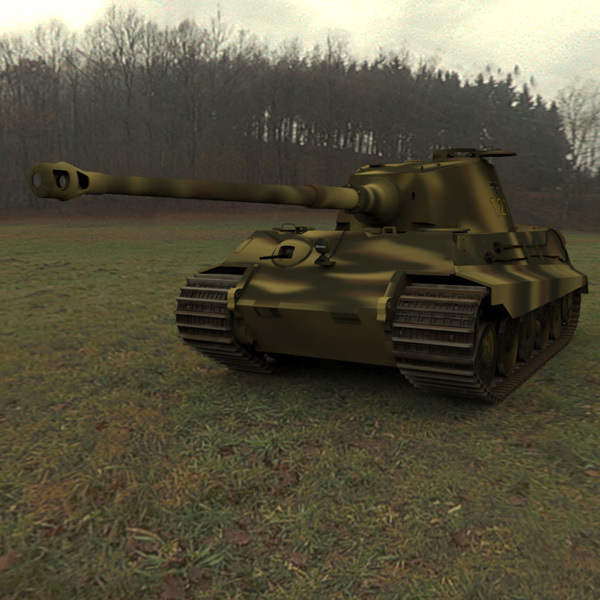 The final official German designation was Panzerkampfwagen Tiger Ausf. 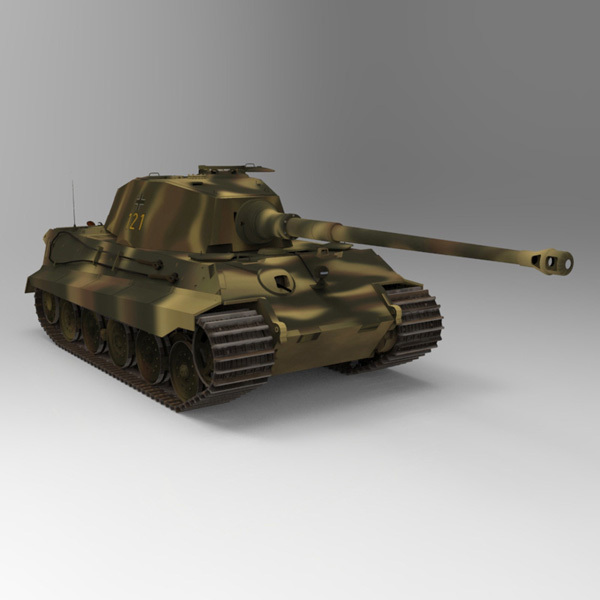 B, often shortened to Tiger B. 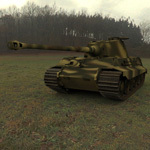 It is also known under the informal name K�nigstiger (the German name for the "Bengal tiger"), often semi-literally translated as the King Tiger or Royal Tiger by Allied soldiers. 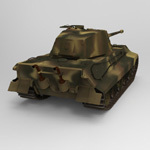 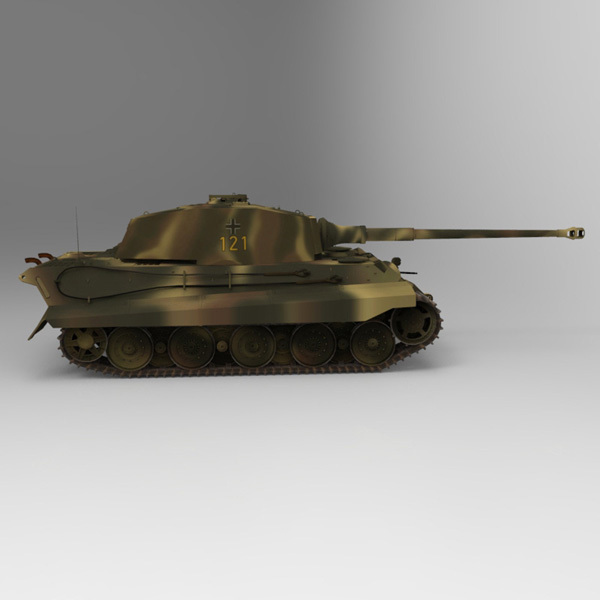 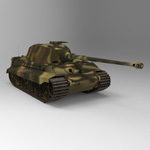 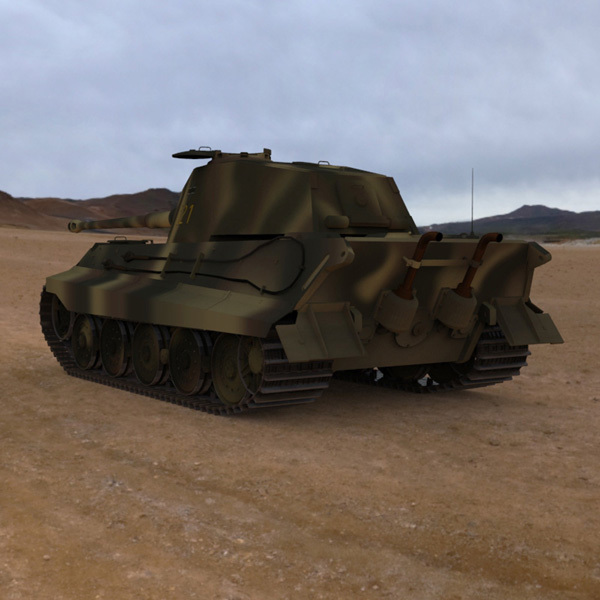 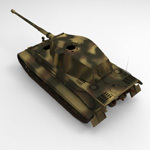 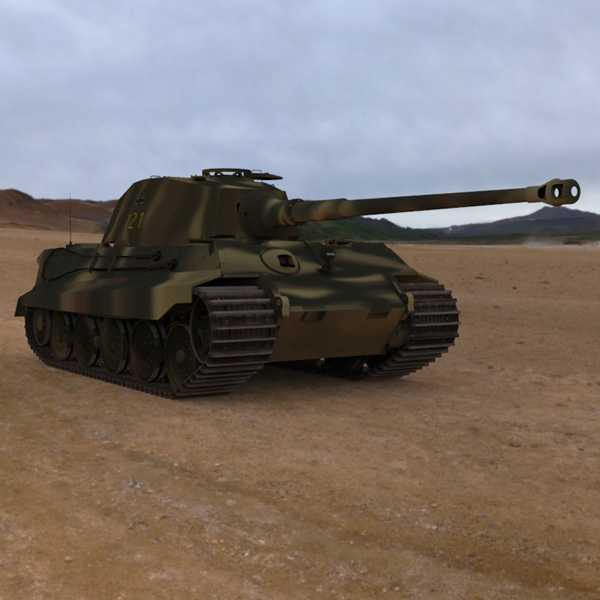 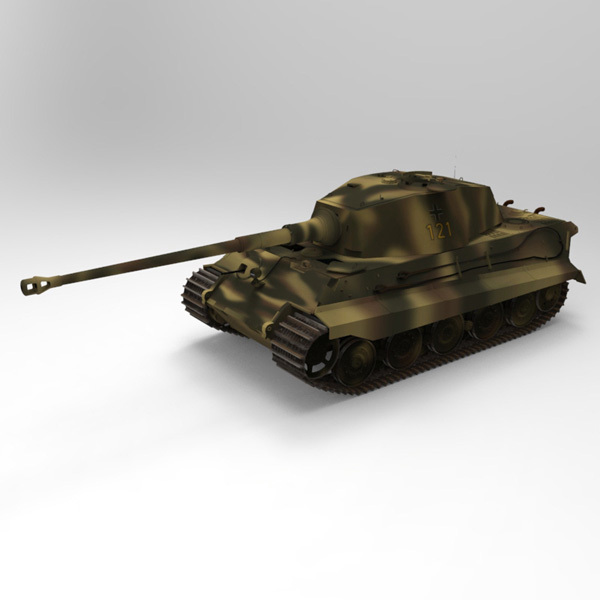 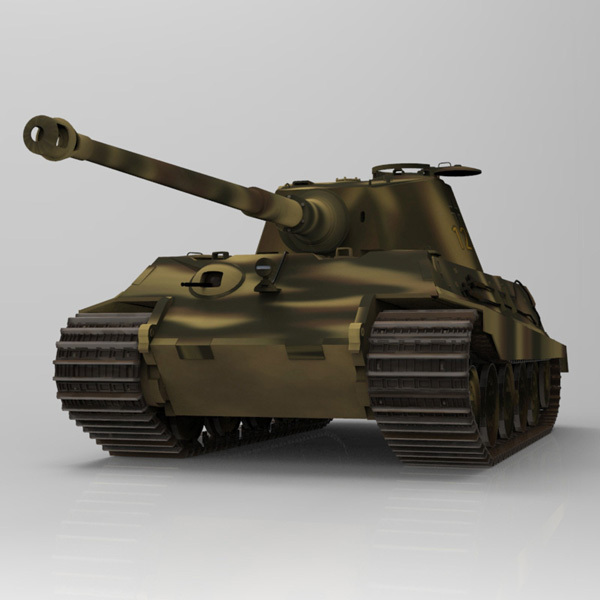 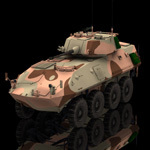 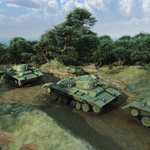 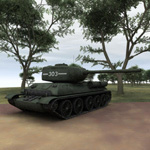 This digital model is based on the upgraded Tiger II tank, also known as the King Tiger. 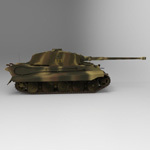 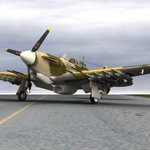 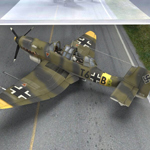 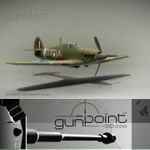 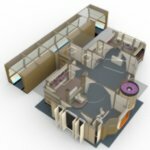 - The model is UV mapped and textures (in tif format) are included.